A poll released Wednesday by the Public Policy Institute of California (PPIC) finds a solid majority of Californians support taxpayer-funded vouchers for private and religious schools. According to the poll, 60 percent of adults favor “providing parents with tax-funded vouchers to send their children to any public, private, or parochial school they choose.” Among registered voters, 55 percent favor vouchers, and, among likely voters, 50 percent favor vouchers. Among adults, the survey finds 73 percent of African Americans, 69 percent of Latinos, 56 percent of Asian Americans, and 51 percent of White Americans favor school vouchers. Republicans are more likely to favor school vouchers than Democrats, 67 percent to 46 percent. At the same time, results of the poll show that most Californians give passing grades to their local public schools. Among adults, 54 percent give their public schools an A (22 percent) or a B (32 percent), with only 7 percent giving a grade of F.
Most adults (64 percent) and likely voters (66 percent) also say current funding for public schools is inadequate. The PPIC poll’s results are based on a survey of 1,705 California adult residents between April 2-11, 2017, with a sampling error of ±3.2 percent at the 95 percent confidence level. The poll contains a subgroup of 1,036 California adult likely voters. Results for that group have a sampling error of ±4.1 at the 95 percent confidence level. President Donald Trump and Secretary of Education Betsy DeVos have made school choice the focus of their national education agenda. A national poll by Education Next (EdNext) in August 2016 found that, while overall support for school choice has remained high, support for the use of vouchers to access choice programs has fallen. School choice can be designed with a variety of financial mechanisms, including school vouchers, education savings accounts (ESAs), and scholarship tax credits (STC) – all of which may differ in terms of the level of state regulation that may be required of the schools that participate in the choice program. According to EdNext, support for vouchers targeted for low-income families was at 37% in 2016, and for universal vouchers for all families at 45%. However, 53% of the general public and 60% of parents in 2016 backed scholarship tax credits for individuals or companies that donate to foundations that provide scholarships to low-income students to attend private schools. That percentage backing STCs is increased from 46% since 2009, though down from its highest level of 60% in 2014. The concept of “school choice” is very appealing, but the reality is that vouchers are a transfer of taxpayer funds from a public school to a private or religious participating school. If parents “choose” to send their children to a participating school, that school may have additional regulatory burdens placed upon it by the state in which it is located – in the name of “accountability” – in order to qualify for the school choice program. The overarching question then becomes why transfer a child to a school when it might have the same regulations, test requirements, etc. as the public school? 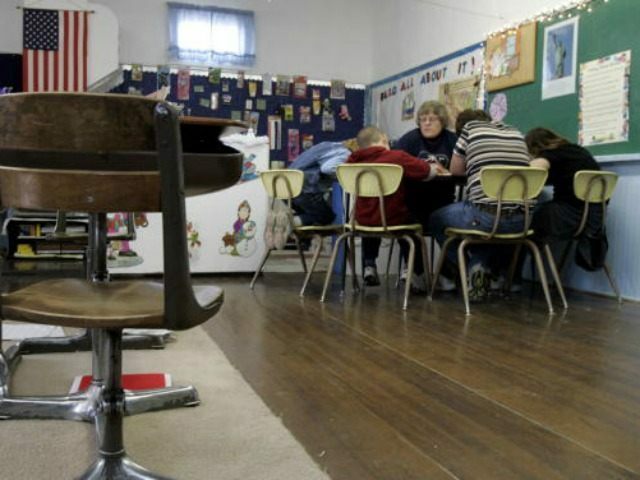 In a 2010 study at the Cato Institute, Andrew Coulson found that voucher programs are more likely to “suffocate the very markets to which they aim to expand access,” because state funds—which invariably invite state regulation—are directly transferred, in the form of vouchers, to parents to spend in an alternate education setting.